If I’m Already Forgiven, Why Confess My Sins? 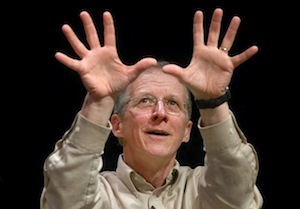 The answer comes from John Piper, in an interview by Tim Challies on sanctification. Why do believers need to continually confess their sins to receive forgiveness for them? If Christ has paid for sins past, present, and future, what actually transacts when I confess my sin to God? One might think that this problem is created by the contrast between John and Jesus on the one side, and Paul on the other. 1 John 1:9 says, “If we confess our sins, he is faithful and just to forgive us our sins and to cleanse us from all unrighteousness.” Similarly Jesus tells us to pray, “Forgive us our debts,” with the same frequency as “Give us this day our daily bread” (Matt. 6:12). However the problem is not between John and Paul, or Jesus and Paul, but between John and John. 1 John 2:12 says, “I am writing to you, little children, because your sins are forgiven for his name’s sake.” Here John speaks like Paul. All your sins have been forgiven (perfect tense). So the tension is between 1 John 1:9 and 2:12. This matters because while one might be tempted to pit author against author, it is harder to pit an author against himself. I think there are two kinds of solution. 1. The solution in 1 John comes from noticing what John says in 1:7-8, “If we walk in the light, as he is in the light, we have fellowship with one another, and the blood of Jesus his Son cleanses us from all sin. If we say we have no sin, we deceive ourselves, and the truth is not in us. If we confess …” Confessing our sins is the opposite of “saying we have no sin.” If we say that, “the truth is not in us.” That is, we are not Christians. We are not born again. All sin! In other words, John is not thinking that every sin must be recalled and confessed, else it’s not forgiven. Rather, he is thinking: Are we real Christians? Or are we deceiving ourselves by denying we have sin? If we are real, if we are walking in the light, if we have a continual acknowledgement of our sin, then we are truly born again, truly connected to Christ, truly under the cleansing power of the blood of Jesus. In short, John 1:9 is saying that, if we confess our sins, the truth is in us, and we are really born of God and united to Christ so that all the forgiveness that Christ purchased is ours. 2. When Jesus teaches us to pray daily, “Forgive us our debts …” he is probably pointing us in the same direction as 1 John (and Paul). We need not take him to mean that every sin must be remembered. He knew the psalmists cry, “Declare me innocent from hidden faults” (19:12). We do not know all our sins. We can’t confess them all by name. So Jesus probably means: Be aware of your sinfulness. Take note of your sins. Feel their sting. Be grieved by them. Do not hide them. Bring them before God, and ask that the Messiah’s blood cover them all. Jesus knew the plan of Isaiah 53:6, “The LORD has laid on him the iniquity of us all.” And he knew he was the one who would bear the sins of many. “The Son of Man came to give his life as a ransom for many” (Mark 10:45). So when he told us to ask daily for forgiveness he meant, Ask that God daily apply to us what Christ bought for us. The price of forgiveness was paid once for all. The application to particular sins in our lives is experienced day by day. We add nothing to the purchase. “Father, forgive us,” does not contradict, “The Lord has forgiven you” (Col 3:13). It means: Apply that decisive purchase, that decisive letting go of sin to this days shortcomings. TXT: Does conviction = salvation?